Hey LA parents... Are you looking for something special to do with your little ones this weekend? Aren't we ALWAYS? TICKETS: Adults - $11, Kids - $9. Tickets can be purchased online at HERE or HERE. But why Buy the tickets when you can win them here for FREE? To celebrate the June 21 premiere of Sid's "No School Singalong Special!" 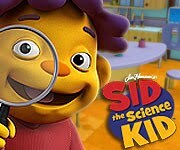 Sid himself will be on hand to meet with your child, and welcome them to a dynamic and interactive investigation station hosted by PBS/KCET LA where they can investigate, explore & discover. 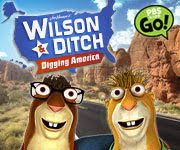 Also plenty of other characters to meet from your childrens' favorite PBS Shows: Buddy from "Dinosaur Train," Red Fraggle from "Fraggle Rock," Ditch from "Wilson & Ditch: Digging America" & Courtney Watkins from "The Possibility Shop." SCREENINGS, PHOTO OPPS, ACTIVITY STATIONS & MORE! Just leave a comment here telling me your favorite Muppet Character, (Mine is Kermit) your name & email address. And that's it!!! I will pick a WINNER in about 24 hours! Now that's what I call instant gratification! My family LOVES Elmo because it gives us 20 minutes of free time when she watches it. OMG! 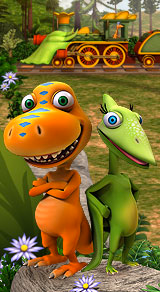 The kids love Sid & Dinosaur Train! I think we MUST attend!!! Now 4 the giveaway...U know my fave muppet character is THE CHEF! Love that guy! Mal's was ANIMAL...but u cant leave out the 2 grumpy old guys, beaker or gonzo!!! It's hard to pick a favorite...I think Ben likes Grover the best right now, but he is a big fan of Sid and all the guys on the Dinosaur Train!